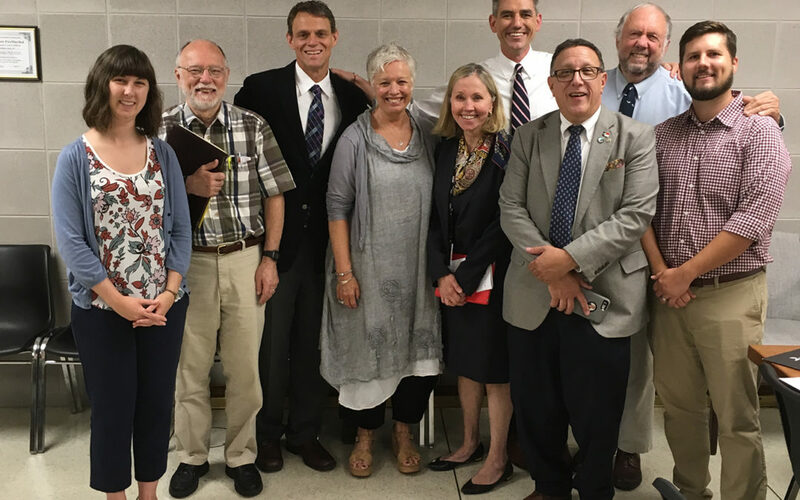 CCA members with just some of the legislators they’ve met with this week in Raleigh. From left to right: Holly Cunningham (CCA), Alan Rosenthal (CCA), Rev. Scott Hardin-Nieri (CCA), Rep. Susan C. Fisher, Sen. Terry Van Duyn, Rep. Brian Turner, Rev. Bill Garrard, Rep. John Ager, and Rev. Kevin Bates (CCA). The 2018 North Carolina General Assembly has started its slow march toward adjournment. Here’s a quick update about what to expect before legislators go home. Last week, lawmakers approved a flurry of bills in anticipation of an expected adjournment later this month. Lawmakers plan to restrict their work during the remainder of June to local bills and constitutional amendments – which do not require the Governor’s signature – as well as veto overrides. Keep in mind that veto overrides require a three-fifths vote in both chambers, or 72 votes in the House and 30 votes in the Senate. A three-fifths vote is also required to place a constitutional amendment on the ballot. On the veto override front, the two biggest environmental bills of the session – the 2018 Farm Act and the legislature’s annual regulatory “reform” bill – are now on the Governor’s desk. A veto of the Farm Act is widely expected. There are 74 Republicans in the House and 35 in the Senate, so a strict vote along party lines would override the vetoes. However, collecting the needed votes for an override is a very different game in each chamber. Expect the Senate majority to easily and quickly override any veto of these bills. In the House, however, the vote is likely to be much closer, with many environmental groups (including MountainTrue) and other opponents of the bill working hard to find the votes to sustain a veto. Lawmakers are also expected to consider putting several constitutional amendments on the fall ballot – largely, it appears, in hopes of motivating certain groups of voters to get to the polls. Some of the proposals include a constitutional amendment protecting the “right to hunt and fish,” a voter identification requirement and a limit on personal income taxes. 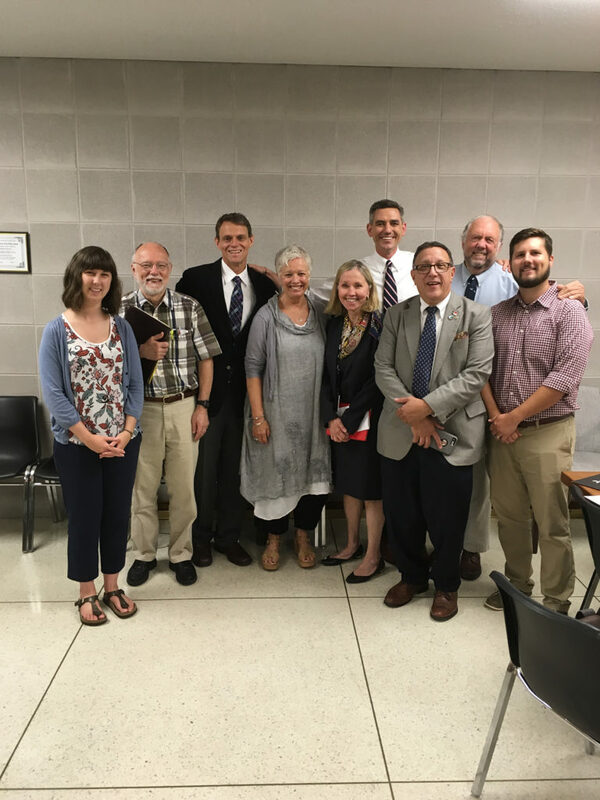 The Creation Care Alliance of WNC traveled to Raleigh this week to meet with legislators. Among the issues they discussed were clean and renewable energy, landslide hazard mapping and trout and hemlock tree protection. Thanks for supporting MountainTrue’s advocacy efforts. Keep an eye out for our legislative alerts and opportunities to help us speak out for the environment in Raleigh.